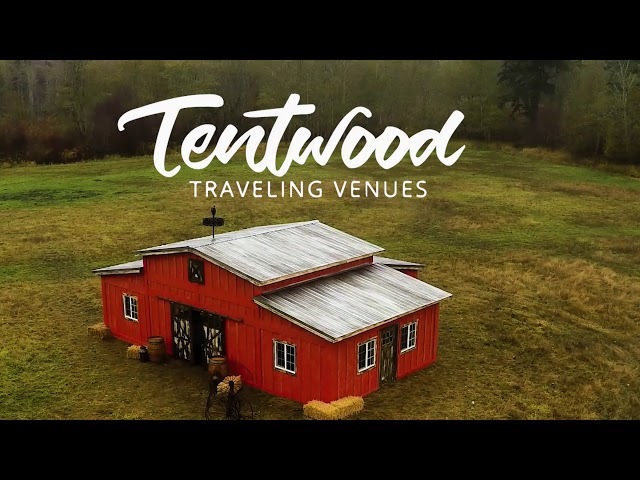 Tentwood Events - A Traveling Barn - Your Dream Venue. Your Backyard. Your dream venue. Your backyard. Do you dream of a rustic wedding? Complete with the wedding barn, string lights and mason jars, with a beautiful open field as your backdrop? At Tentwood Events, we take care of the barn and let you run wild with the details! The possibilities are endless! Do you dream of a rustic wedding? the barn and let you run wild with the details! Make your big event the Big Event. Let us walk you through how we’ll make your event great! Explore the specs and find out if our venue is for you. Make your event the event of the season. Let us walk you through how we'll make your event great! Don't worry, we'll hold your hand. Explore the specs and make sure our venue is right for you.